As a writer, some of my favorite reviews are when readers say they literally laughed out loud at one of the scenes in my books. For example, a number of readers have commented on the scene in my first novel Chez Stinky where the main character, Kat struggles to get her cat into a kitty carrier. Murphee does not go quietly or easily into the evil plastic box, and many battle-scarred cat owners obviously sympathize with the experience. One of the keys to writing humor is to take a characteristic or flaw to an extreme, yet still have the character remain sympathetic. On TV for example, Lucille Ball on “I Love Lucy” was constantly so impulsive that she ended up in absurd situations. But because she always seemed to mean well, as a viewer, you still ended up rooting for her. As every pet owner knows, dogs and cats have their own unique personalities. So if you take a dog’s basic personality and make it a little more extreme, it can be funny. For example, many dachshunds like to burrow or get under things. In my book The Art of Wag, Roxie the doxie has an unfortunate habit of getting into cabinets and throwing pots and pans on the floor. Or getting stuck in small spaces, which is even worse. I have owned various breeds of dogs and cats and spent a lot of time around pets at vet clinics and animal shelters, so I have lots of pet personalities I can draw from for my novels. 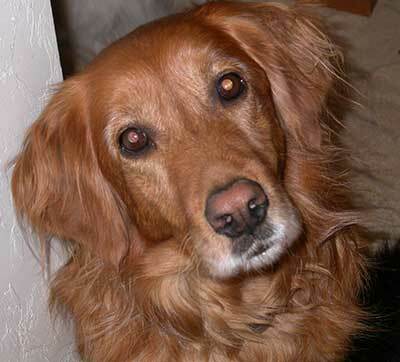 For example, like many golden retrievers in the world, Tessa, Kat’s golden retriever is exuberant. But Tessa is modeled after my dog Tika, who took hyperactivity a step further to doggie ADHD, which is called hyperkinesis. She was even tested for it. Needless to say, she was a handful. I used to call her my “learning experience dog” and Kat has to go through similar learning experiences with Tessa. Tika, the hyperactive problem child (but we loved her anyway). Right now, I have two rescue Samoyeds of my own, so I am well aware that although Samoyeds are completely adorable, they often can be stubborn and have a habit of covertly eating things they shouldn’t. 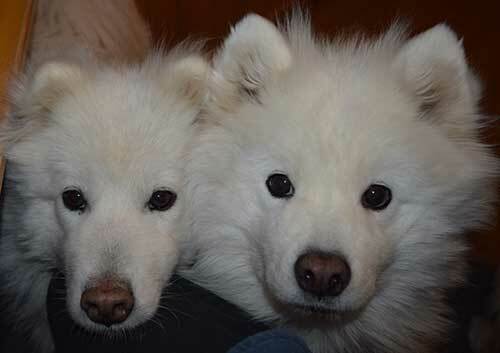 Not surprisingly, my book Fuzzy Logic includes a Samoyed named Swoosie. Although Swoosie is a sweet dog, she also daintily eats half the contents of a buffet table at a wedding. The gastrointestinal disturbance resulting from her indiscretion won’t come as a surprise to many dog owners either. Even though some pet owning experiences are more serious, the dogs are still funny. For example, in The Good, the Bad, and the Pugly, I modeled Judge the somewhat homely mutt with demodectic mange after a dog we owned when I was growing up. I really did the nasty “dips” just like I described in the book. Fortunately, these days, the treatment for that type of mange is nowhere near as onerous as it used to be. The real Judge (with Toby) long after his skin problem was cured. 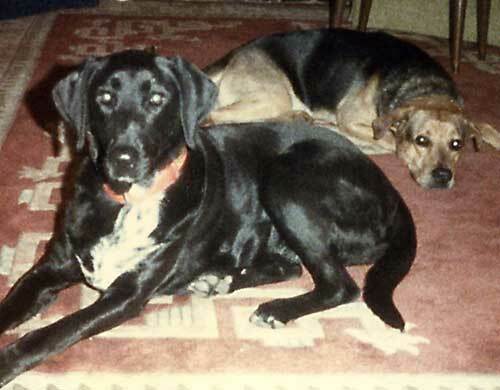 When I decided to start writing fiction, I followed the old adage, “write what you know.” For years, my dogs and cats have made me laugh on almost a daily basis, so it was natural for me to include them in my novels. Let’s face it, critters can be funny!